The Eau de Toilette unveils itself with a cool lemony accent of coriander seeds, which pair wonderfully with dry breath of white pepper and sweet clove redolent warmth of bay leaf. 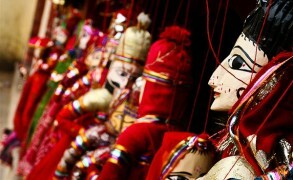 The spices are executed as sheer silk, decorated with carefully situated silver thread embroidery—subtle and shimmering. Costes is marked by a languorous smoothness, with the notes forming gentle undulating patterns. Swirls of velvety incense smoke rise above the polished planks of sandalwood and cedarwood. 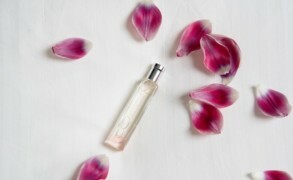 The drydown has a very sensual feel of warm skin, water soaked wooden panels and crushed rose petals, conjuring an impression of a scent clinging to the skin of someone who just stepped out of a long hot bath. The soft, barely soapy musk is present as a gentle reminder of the pleasures just experienced. The room spray amplifies the vivid hues of sandalwood and rose and embellishes seduction of the base notes with a more pronounced smoky veil of Japanese incense. 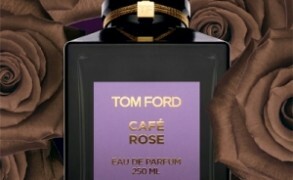 Although much more linear than the EDT, the room spray has an excellent tenacity and diffusion. In fact, it functions so wonderfully as a fragrance, I cannot even bring myself to use it as a room spray. I love the painting you have posted too. BoisdeJasmin: Dear N, I am waiting for Aedes to restock the room spray. To me, it is much more unique than the EDT, which I also like. The candle is absolutely wonderful! I am waiting for the temperatures to cool off before I start burning my candles again during the day. Somehow, in this heat, it is just not appealing at all. Dear L, I think that you captured it perfectly! Giacobetti’s work is like series of watercolours layered over each other, but it is more like watercolours you produce, which have a complex vibrancy. I love her creations, and this one certainly did not disappoint. Dear T, I dabbed some on as I was putting finishing touches on my review, and I nearly dozed off. Of course, it was helped by the fact that I woke up at 5am that morning, but still, it is a very smooth and serene fragrance.